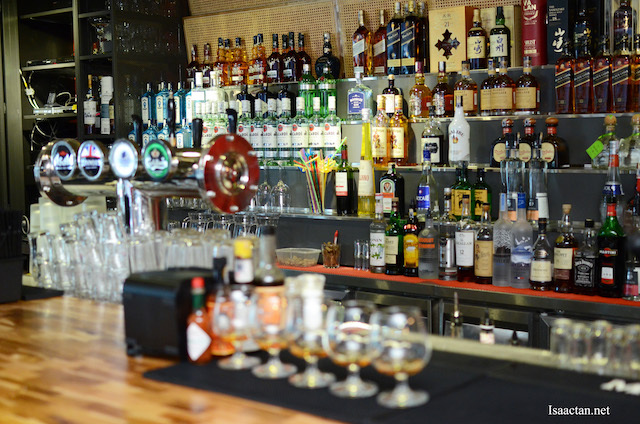 Have you heard of Naughty Nuri's yet? Some really delightful non-halal noms can be found at their three outlets in Desa Sri Hartamas, SS15 Courtyard (Subang) and Life Centre. 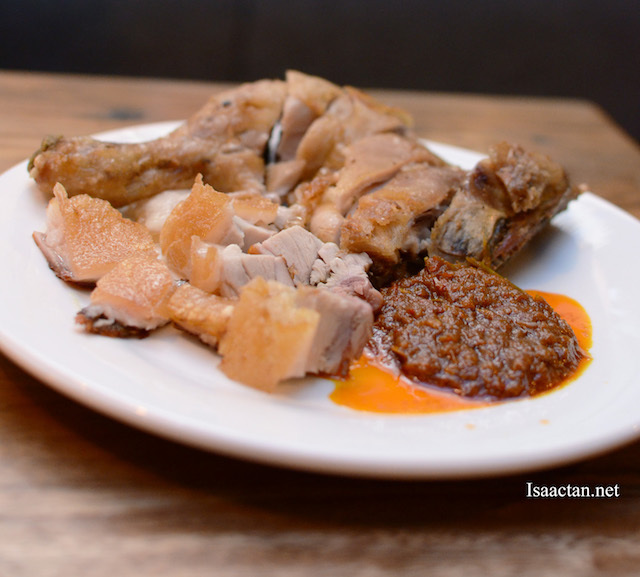 I was at their outlet at Naughty Nuri’s Life Centre, Kuala Lumpur the other day to dine, taking up their "Snout to Tail" brunch buffet. Good stuff, so do read on below! 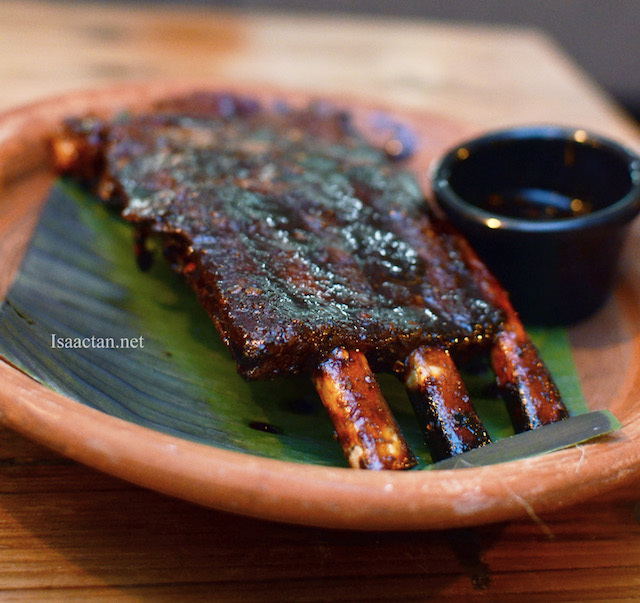 Naughty Nuri’s, the much heralded Balinese BBQ restaurant & bar, well known especially for its tantalising BBQ pork ribs and also its twisted Martinis, launched Sunday’s Snout to Tail Buffet at it’s Naughty Nuri’s Life Centre outlet due to popular demand. Only on Sundays, Come with your family & friends! 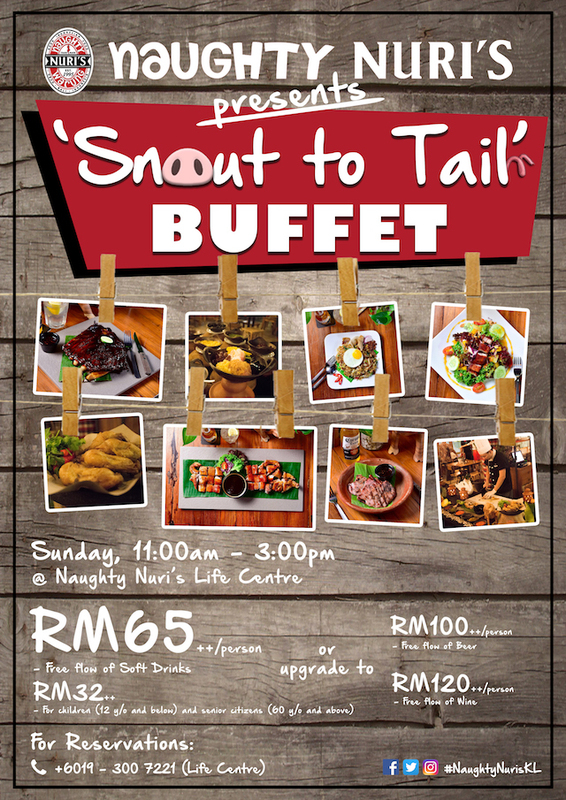 The "Snout to Tail" buffet happens every Sunday from 11am to 3pm beginning 31st July 2016, priced at RM65++ for adults, RM32++ for children below 12 years old and senior citizens 60 years old and above. Options are also available to beer and wine lovers to upgrade the package by topping up RM35++ to beer package or RM55++ to wine package. 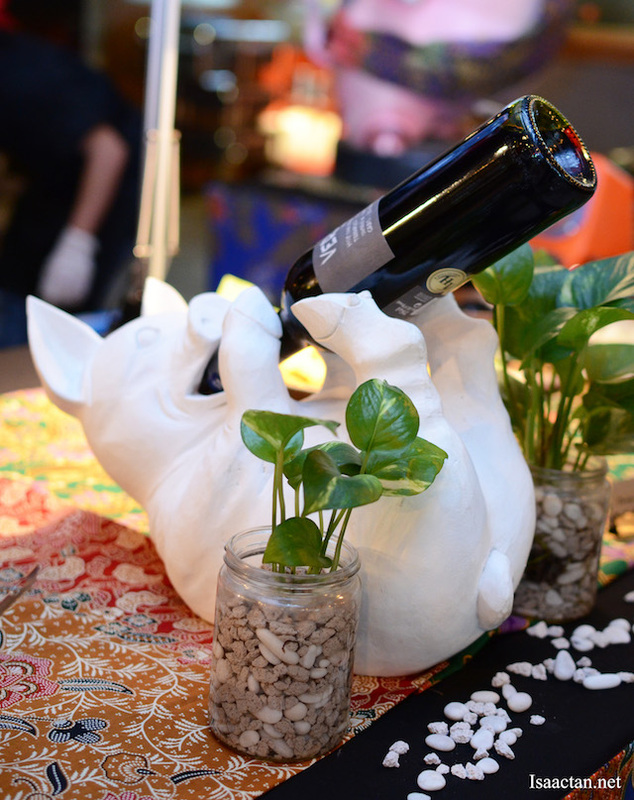 This is especially enticing for wine lovers. 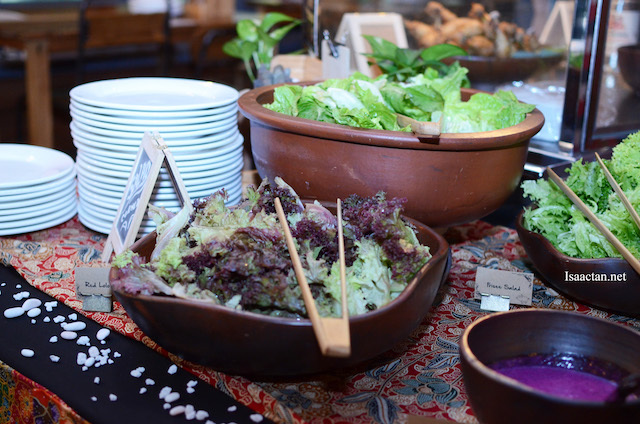 The Sunday brunch buffet is set to be a regular feature among foodies, entertainment seekers and travellers in Kuala Lumpur looking for tasty and value for money F&B offerings. Our meal at Naughty Nuri's Life Centre was awesome! 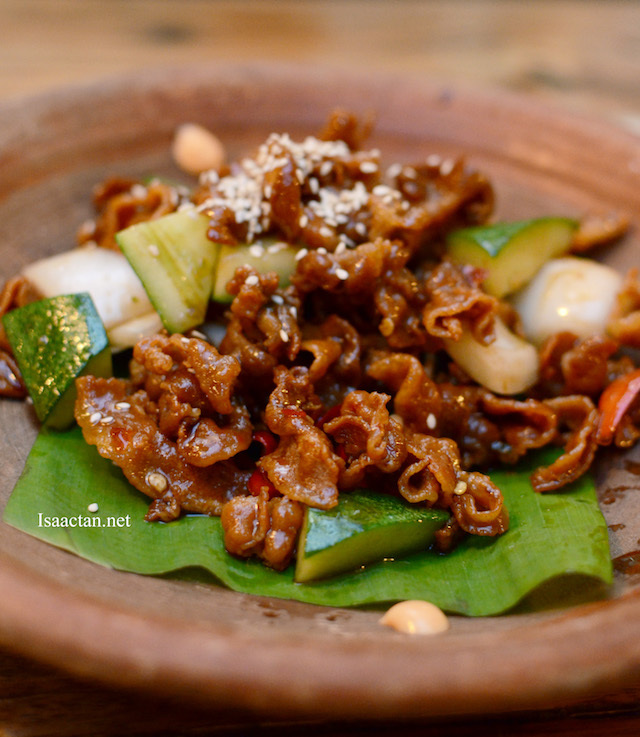 Perfect to be taken on its own, with beer, or wine, this crunchy and crispy Naughty Crispy Belly just became my favourite dish. 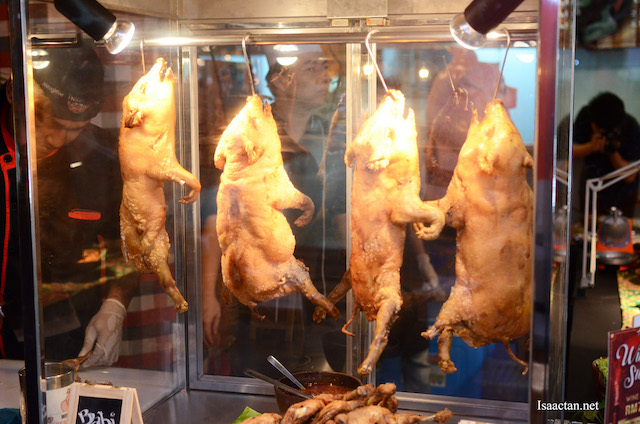 It can be found on their Tapas menu, but in the "Snout to Tail" buffet, we could just choose it off the list. 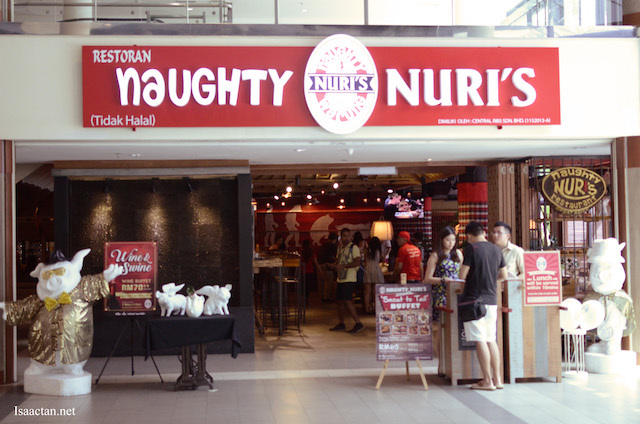 Most of Naughty Nuri’s Signature Items such as Naughty Nuri’s 1995 Signature BBQ Spare Ribs and BBQ Satay Lilit are among the wide selections of items available in the buffet menu. Delicious stuff I tell you. 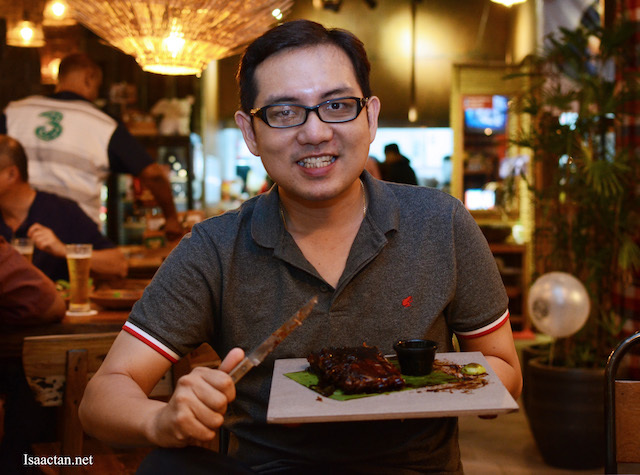 Some of the must try dishes come from Naughty Nuri's Signature grill. 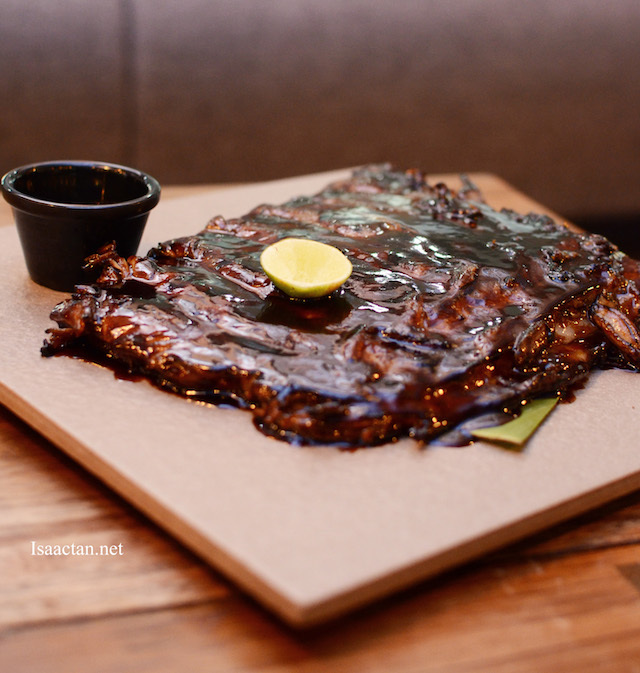 If you're in for a slight kick, then go for the Spicy BBQ Pork Ribs, while those who like the original flavours must order the 1995 Signature BBQ Spare Ribs. 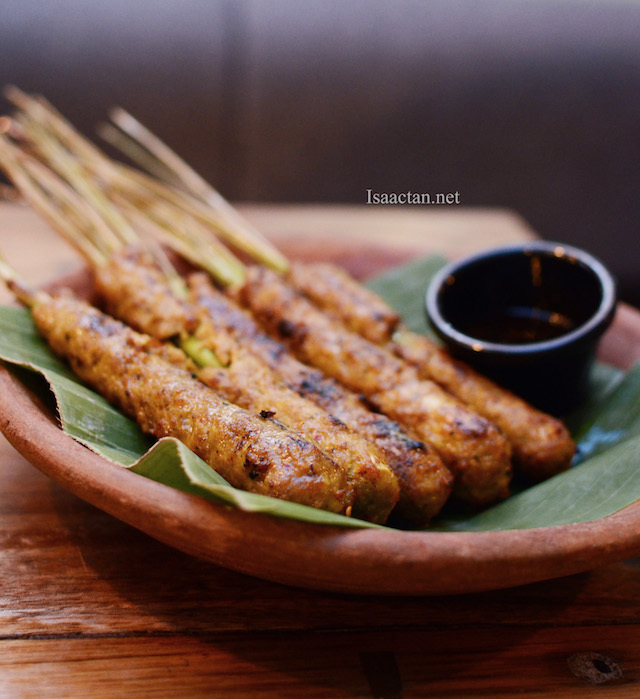 I personally found the BBQ Satay Lilit to be really tasty, very different from your usual satays found outside. It was a really meaty affair, with delicious tasty meat in every bite. 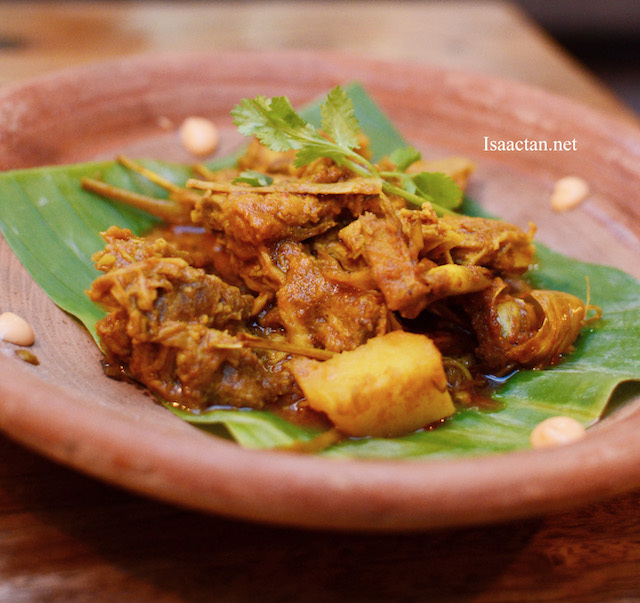 Some mildly spicy dishes came in the form of the Roast Pork Rendang and the Pork Ribs Curry. Both are pretty good, but I would prefer if the spiciness was a tad higher. 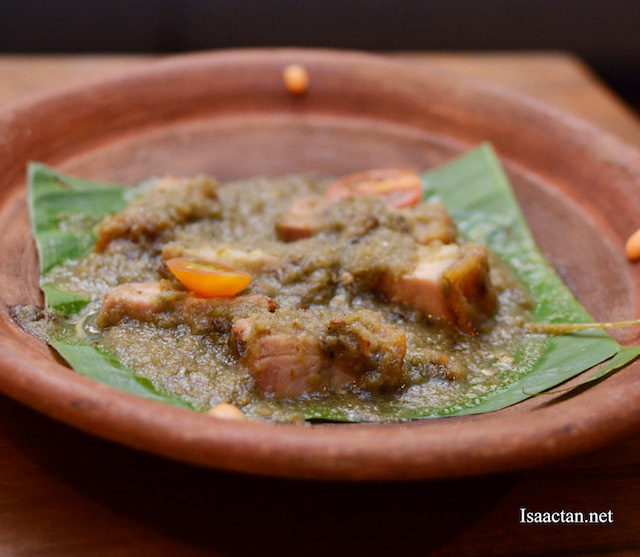 The Ayam Penyet wasn't really up to my expectation in terms of flavour, but probably that's because the pork dishes were just too good! To date, Naughty Nuri’s has already served over 300,000 customers. 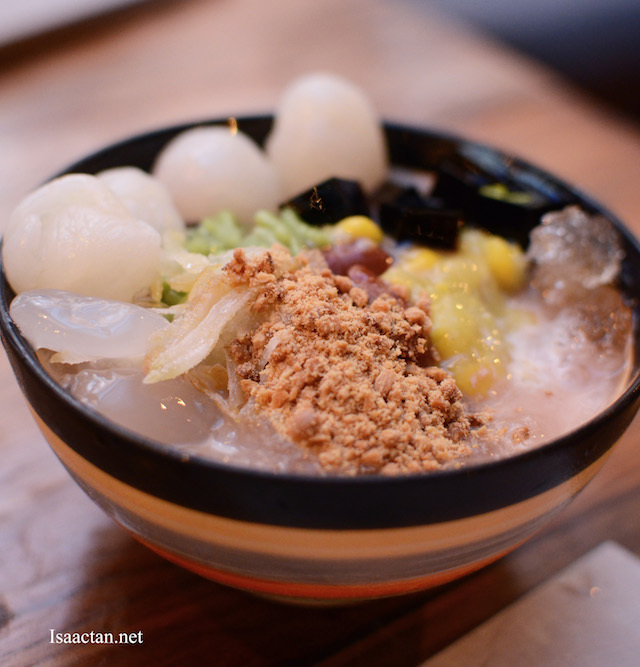 With Naughty Nuri’s opening up more outlets here in Malaysia, local food lovers will not have to go to Bali to enjoy these much sought after specialties, which are made exactingly to the original recipes. Other outlets planned for the immediate 12 months are: 2 in Malaysia, 1 each in Phuket, Shanghai and Bali. A total of 25 outlets have been projected to open within the region in the next two years. I do feel for RM65++ with free flow of soft drinks, the Snout to Tail Buffet @ Naughty Nuri’s Life Centre, Kuala Lumpur is a steal. 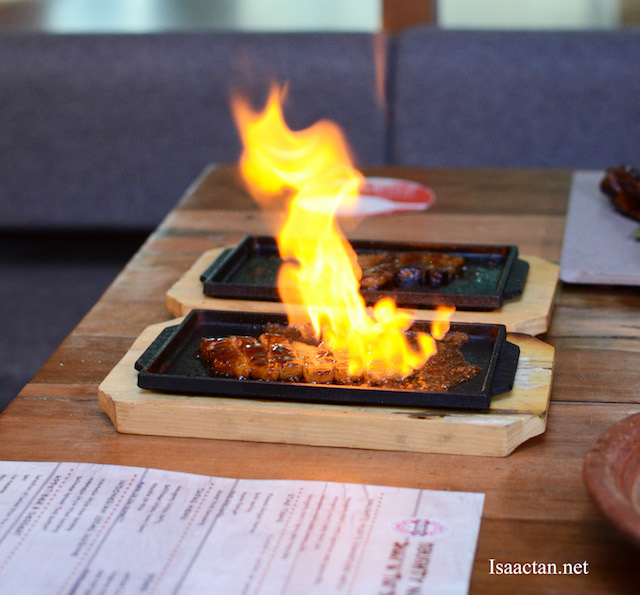 You get to really indulge in some really fine and delicious dishes, made to order the moment you order it from your menu. Head there this Sunday, and enjoy! Naughty? Hmmm....I assume every part of the hog was eaten? Hehehehehe!!! What's the halal option for this?